(16th – 22nd July 2018) You can fly direct to Farnborough Airshow. Only 15 minutes from London Heliport or depart from a location of your choice. Our VIP service arranges everything for you, from chauffeured transfers to hotel bookings and in-flight provides complimentary champagne, light catering and the latest trade magazines. To book a seat for yourself or party, please contact our Operations Team today. 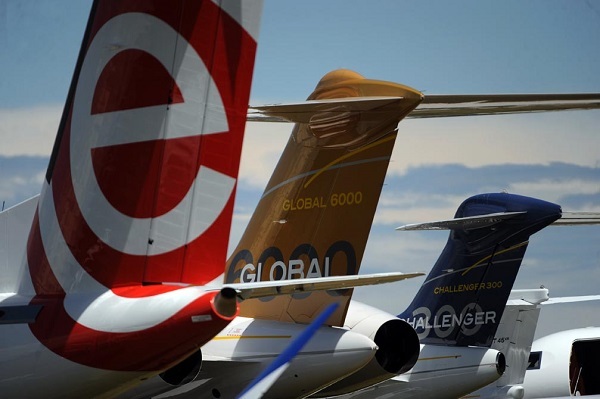 The Farnborough International Airshow (FIA) is the world’s premier global showcase for the aerospace industry. The week-long event offers something for everyone, combining an in-depth trade exhibition with spectacular 5-hour air display. The last two days of the event are open to the public, with funfair attractions, public entertainment arenas and stunning air stunts performed by some of the country’s most talented pilots. As well as the amazing aerobatic displays, there’s also a large emphasis on learning. The Space Zone will host informative seminars and live demonstrations on the exploration of the universe. Children will love the Futures & Innovation Zone, which provides an engaging introduction into the career opportunities of the aerospace sector. What better way to visit the Farnborough International Airshow than by helicopter? Atlas Helicopters can fly you there in luxury with our shuttle service, picking you up from London Heliport and setting you down with plenty of time to take in all the sights and sounds of the event – plus return travel for when you decide to leave. Complimentary tea, coffee and soft drinks are included in the price of your flight. We can also pick up you and your clients from a location of your choice such as your office or home. To find out more about our Farnborough Airshow shuttle and service, please contact our friendly Operations Team today.